If you have already installed Visual Studio 2013/2015/2017 and SQL SERVER 2005/2008/2012/2014 then, your machine is ready and skip this chapter. Visual Studio is most popular application development framework among .net developer. It has a complete set of development kit that allows you to develop Web-based apps, Windows Apps, Mobile Apps, Services and other components in various languages like C#, Visual C++, Visual Basic, F# etc. 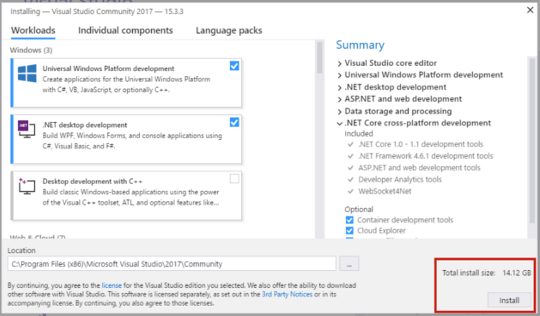 In order to develop ASP.NET MVC5 Project, you need to download and install Visual Studio on your machine. 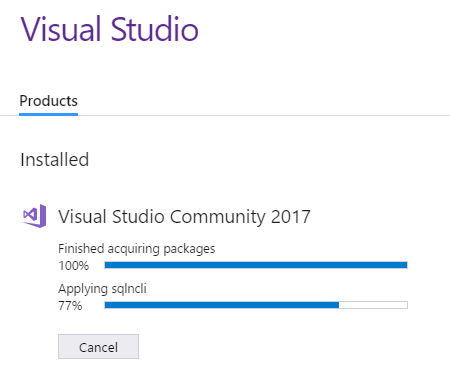 I always recommend using the latest version of Visual Studio to develop a project. 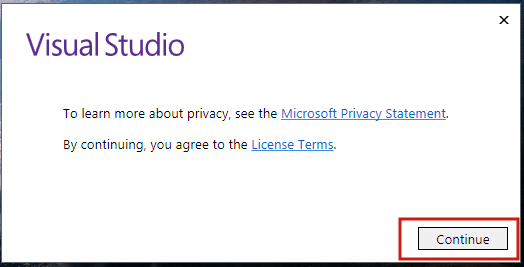 Visual Studio Community Edition is absolutely free and it doesn’t ask any credit card info. Just download it from Microsoft Site and install it on your Windows based OS. Downloading Link: There are two types of installers are available: Web Installer and Offline Installer. Web Installer Requires Active Internet Connection and Offline Installer is for download once and install when you need it. You can find all the downloading option at here. Installation Process is quite easy. Step3: Select Workload. Here, I have selected following workloads. Step4: After selecting workload click Install button to Install it. Step5: In the next screen, you will see the installation progress bar. 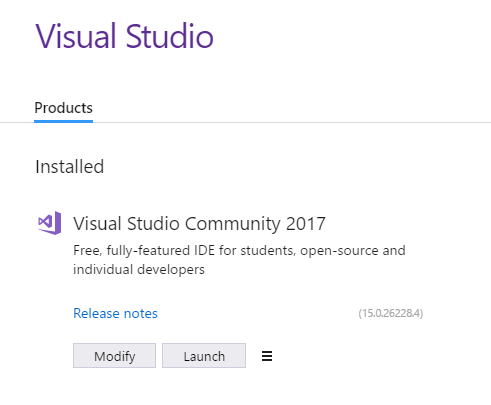 Once Installation is complete, click Launch button to open Visual Studio 2017. Microsoft SQL SERVER 2014 is used for database management. As a .net developer, you need to keep your system ready with all the .net components. Here, is the detailed guide for installing MS SQL Server 2014. You can take reference of it. If your machine has already installed all these components, then skip this chapter. This chapter helps you to install Visual Studio and MS SQL SERVER on your machine. These two frameworks are necessary for developing ASP.NET MVC5 Apps. In the next chapter, you will understand Visual Studio IDE. It is necessary to know about development framework. It will help you to debug your program easily and makes error handling process very easy.